Sue Wallace has been tempted by 100 varieties of Turkish Delight, wandered through the Grand Bazaar in Istanbul and watched brown bears play at Knight Inlet in Canada. She has dined on delicious bush tucker in the Outback, wandered through Tuscany, walked Victoria’s Great Ocean Road, been mountain biking in Gippsland, paddled a raft on the Mekong River in Thailand and followed Japan’s sacred Kumano Kudo route. She’s been fortunate to stay in sumptuous penthouses, divine hotels and sailed on luxury boats, climbed mountains for stunning views and stood in awe as blood red sunsets fill the skies. A spa lover, Sue has been dipped in chocolate, rolled in honey and sprinkled with gold dust. Always looking for the Finer Things in Life – it’s also those small things that make a great story. A journalist for more than 30 years, Sue started in finance on The Australian then discovered the world of travel was much more entertaining than numbers. Based in Albury NSW she sings the praises of North East Victoria and destinations on her backdoor as well as far flung spaces. 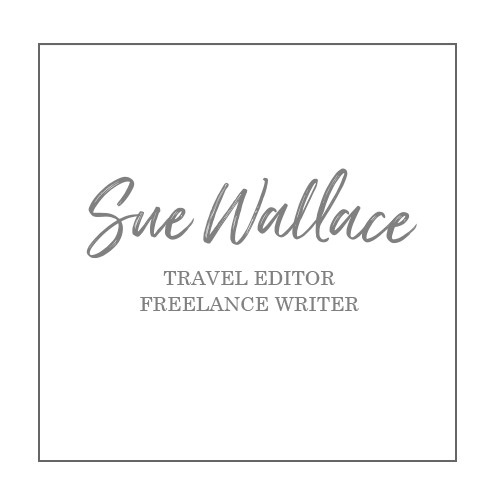 Sue writes for national and international publications and websites and recently won the prestigious 2014 Kennedy Award for Outstanding Travel Writing for a story on Nitmiluk Gorge in the Northern Territory. Career highlights include winning the 2008 Australian Society of Travel Writer’s award for Best International Story Under 1,000 Words with a tale about New York’s Trump Towers and a gold dust spa treatment. She was also one of three finalists in the Society’s 2009 awards for a story on Shanghai, where she tested out a heavenly ‘tea’ spa treatment – the verdict? Tea’s wasted in a cup! Sue tries to take the path less travelled for the best travel stories and experiences and agrees it’s the journey as well as the destination that often makes a great story. A full member of the Australian Society of Travel Writers, she is a former Vice President and was a committee member for four years. She is also on the judging panel of the Australian Gourmet Traveller Travel Awards. These days she is on the lookout for the unusual and the quirky finer things in life – and wouldn’t say no to another variety of Turkish Delight.